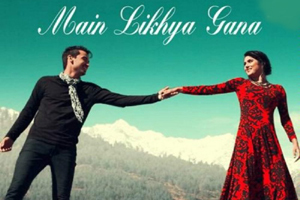 Beautiful love song in the voice of L S Dogra featuring him and Amandeep Kaur. The video of this song is available on YouTube at the official channel Zee Music Company. This video is of 3 minutes 44 seconds duration. Lyrics of "Main Likhya Gana"
Lyrics in Hindi (Unicode) of "मैं लिखया गाना"